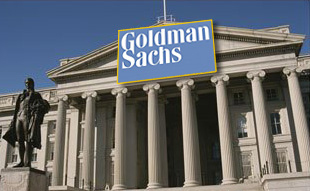 Goldman Sachs Group Inc, the world's most profitable investment bank, couldn't name the co-head of investment banking in Asia aschief executive officerof itsBeijingjoint venture because his knowledge of Chinese was too weak, three bankers at the firm said. Richard Ong, an ethnic Chinese born in Malaysia, didn't write Chinese well enough to take a mandatory test for senior managers, said the bankers, declining to be identified as the matter is private. New York-based Goldman instead promoted Zha Xiangyang, deputyCEOof its China joint venture, Goldman Sachs Gao Hua Securities Co, in May. Government rules requiring language skills may hurt investment banks' efforts to attract top employees to China, the world's fastest-growing major economy. New York-based Citigroup Inc, Morgan Stanley and JPMorgan Chase & Co are seeking joint- venture partners in the nation, where a record $16.3 billion was raised in stock sales during the first half of 2007. "When you start putting a language requirement on it, it dramatically reduces the pool" of talent, said George Fifield, managing director of Korn/Ferry International Consulting (Beijing) Ltd. "It's going to diminish the quality of the team, whether it's on the board or the senior management." China began requiring senior executives to take the test in 2004. Managers in place before then have until 2009 to pass the exam before losing their titles. The language requirement applies to CEOs, deputy CEOs and the heads of supervisory boards at locally incorporated securities firms, according to the industry regulator. The test includes both written and verbal components. TheChina Securities Regulatory Commissionhas stepped up enforcement since December, though it can still grant exemptions for foreign executives. The financial watchdog said Nov 30 it would punish securities firms that appoint managers who haven't passed the exam. The regulator wasn't more specific. Goldman, the world's biggest securities firm by market value, moved Ong, 42, to Beijing from Singapore last year to head its China operations after former Asia co-head of investment banking Bill Wicker moved back to New York and Goldman China CEO Joseph Stevens quit in October to join Standard Chartered Plc, the London-based bank that makes most of its money in Asia. Ong, who headed the Singapore office for about four years, declined to comment, as did Goldman spokesman Edward Naylor. The CSRC didn't respond to faxed questions. Zha, 40, is a co-founder of Chinese brokerage Gao Hua Securities Co. Gao Hua owns 67 percent of Goldman Sachs Gao Hua and Goldman controls the rest. Goldman is the No. 3 foreignunderwriterof stock sales in China andHong Kongthis year, after Morgan Stanley, the second- biggest U.S. securities firm, and Zurich-based UBS AG, according to data compiled by Bloomberg. Goldman and UBS, Europe's largest bank by assets, are the only foreign investment banks licensed to underwrite domestic share sales in China, where the economy expanded at 11.1 percent in the first quarter from a year earlier. Executives at Citigroup, the biggest U.S. bank, JPMorgan, the third-largest, and Morgan Stanley have said the companies are seeking partners in China. China's enforcement of language testing is part of a plan to give locals increased access to top positions at securities firms. The rule sets China apart from Japan, another Asian nation where English proficiency is low. Mark Branson, CEO of UBS's Japanese securities venture, and Federico Sacasa, president of Aozora Bank Ltd, controlled by New York-based buyout fund Cerberus Capital Management LP, are among senior executives in the nation who don't read or write Japanese. UBS has mainly hired locally. Chinese executives at its venture include Chairman David Li. "Goldman shouldn't have appointed someone who doesn't read or write Chinese to head its China business in the first place," said Guo Ming, managing director of human resources consultant EAL Consulting in China.